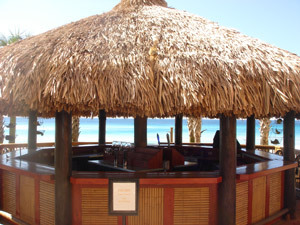 Search All Calypso Real Estate! Calypso Condominiums in Panama City Beach boasts one of the most desired locations on the beach right next to Pier Park and the County Pier. This tropically inspired, luxury property features two spectacular towers, with over 600 units and a multitude of floor plans to choose from. Along with a relaxing island ambience and an extensive selection of on-site amenities, Calypso also provides ample parking for owners and guests. 1 bedroom/1.5 bath (with bunk area) 794 Sq. Ft.
1 bedroom/2 bath (with bunk area) 844 Sq. Ft.
2 bedroom/2 bath (with bunk room) 1,226 Sq. Ft.
2 bedroom/2 bath (with bunk room) 1,320 Sq. Ft.
3 bedroom/3 bath (No bunk area or room) 1,398 Sq. 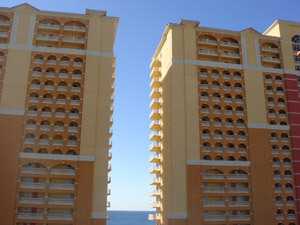 Ft.
Calypso Resort and Towers Condominium is located on the west end of Panama City Beach. The resort is ideally situated directly across the street from Pier Park and the brand new County Pier, and just 1/2 mile east of Hwy 79.